You've stumbled on my Extras area. It isn't a blog but it's the place where I share big news, teasers and random fun stuff. Buy the Bound Series Anywhere! Coming out of UtopYA, I had a lot on my mind. I had conversations with best-selling authors about long-term strategy and how to pace myself for a marathon career and not the sprint mindset that we often get stuck in. One of the major topics we spent time on was having my books available to all of my readers, wherever they want to read them. Up until now, the Bound books have always been available exclusively on Amazon, but now – NO MORE! 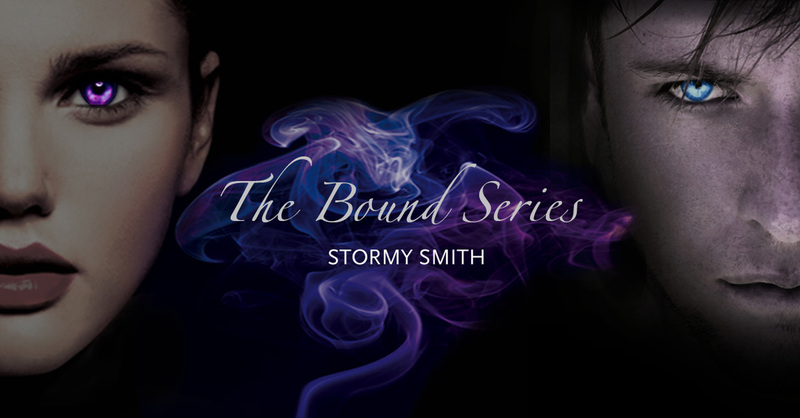 If you’ve been waiting for the Bound books to appear on iBooks, Nook or Kobo – you’re in luck – they are live! And they will also be available for library e-book rental through Overdrive, you simply need to ask your librarian to order them. There are a host of other platforms stocking the Bound books, so make sure you check your favorite vendor and let me know if you don’t see it. Keep an eye on the newsletter, next week is the first birthday of Bound by Duty and I have a lot of fun activities planned. Get the scoop on your opportunity to interact live with me next Thursday, and know that there’s more to come. 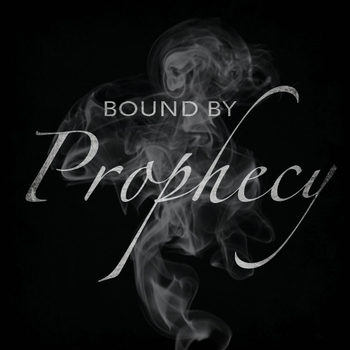 Also, Bound by Prophecy will also release to all channels, and as soon as I have a firm launch date, I will let you know! Have a great weekend, friends! 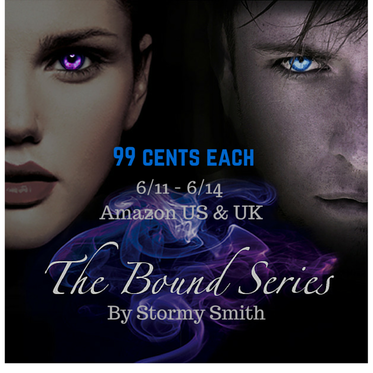 The Bound Series is on SALE for US and UK! If you want an added incentive, head out to my Facebook or Instagram pages for contests running throughout the sale. You could win a $10 Amazon gift card! Here’s the links for Bound by Duty to get you started! Thanks for spreading the word and being a part of my tribe! It’s been a bit of a crazy few weeks. I wrapped up my Spring semester of grad school, have hit 45k and counting on Bound by Prophecy, and have been planning lots of fun stuff for the summer. Amidst all of that, I found out that I was nominated by a panel of my peers for the 2015 UtopYA awards! It was truly mind-blowing to see my name in the “Best Book Hangover” category next to well-established, well-loved authors from the young adult genre. That said, the awards are based on public voting and I would LOVE your support. If you think Bound by Duty is deserving, and you agree that when it ended you were sad to leave the world I created and struggled to walk away from my characters (the definition of a book hangover) then please consider voting. I am in category 18 and you don’t have to fill out the entire ballot to vote. Here’s the link. Voting ends May 21. 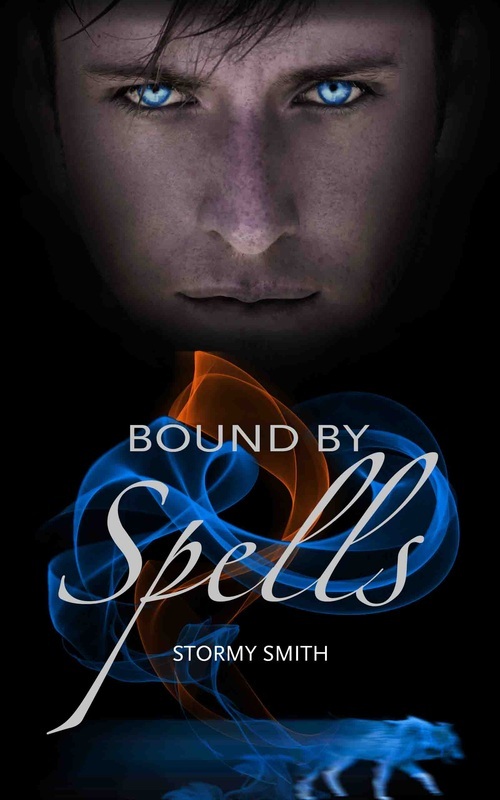 I promised a giveaway in addition to the favor, so I am also doing a GoodReads giveaway for two print copies of Bound by Spells. It is open to UK, US and Canada, so if you are in one of those places, please hit this link to sign up! Stay tuned, I’ll start posting some little teasers from Prophecy in the next few months as I finish the first draft and start editing. The story is really coming together, I can’t wait to share it with you! First, I have to thank all of you for the support and reviews of Bound by Spells! It’s an amazing and humbling experience to have so many people reading and publicly recommending my books! I am hard at work on book three of the Bound series (roughly 26k into the 70k first draft goal) and am targeting the launch before the end of this year. I promise, it will get out to you as quickly as I can pull together something worthy of your eyes! This graphic is intentionally black and white, this is not indicative of the cover design in any way (I have to keep some secrets to myself!). Keep your eyes peeled for more information and snippets as I continue to write and make decisions about where the story is going. I can assure you that I know how it ends and I think you’re going to be excited about where Amelia and company are headed. I don’t typically treat this space like a blog, but something’s been rattling around my brain and I had to share it, because that’s how I roll. The words can only stay contained for so long before a force inside me propels them out into the universe and I sit and stare the comments wondering if I’ve lost it for sharing something so personal. I sat there, in my writing room, surrounded by giant sticky notes filled with the third book’s plot points, with boxes of books and bubble mailers lining the walls, staring at the Bound by Duty poster everyone at my first launch party signed in metallic silver and bronze Sharpie, and a dozen thoughts flitted through my head. I could tell her it was being on USA Today’s website. Or that I’ve sold books to 10,000 complete strangers. Or that I get all of these amazing tweets, Facebook messages, emails and gorgeous Instagram photos. And then I realized I should probably tell her the truth. Those words make me feel like a jerk. They make me feel like you might think that I don’t grin like a loon every time you tell me you loved my stories, that you laughed out loud at Bethany’s antics or cried as I broke both of our hearts because the Muse made me. But I do. I giggle at all of your exclamation marks and your demands for more of my story and more of this world Amelia lives in. I spin in my chair with my fists in the air when I read your reviews and I gush over the photos you’ve posted. I do not take a single one of these for granted. But, I want to be real with you guys, because a lot of you talk to me about wanting to self-publish. You want to know how I did it and what it takes and how you can do it, too. And, to be really, really, real…it takes a hell of a lot of work. It takes a lot of coffee, some tears, saying no when you want to say yes and days that never end. It’s emailing yourself to-do lists because if you don’t do it now you won’t remember to do it later. It’s realizing you’ve emailed a blog for a review opportunity only to realize one of their bloggers is an amazing woman who’s already written you two reviews and you just didn’t connect the dots. It’s being part of a dozen Facebook groups trying to sort out the next marketing trend, or genre buzz, or way to make yourself relevant amidst the glut of content on Amazon. It’s checking your KDP rankings constantly and stalking GoodReads reviews even though you tell yourself people there can be mean and forget you’re a human with a heart who put it on a page. This job is not for the faint of heart, but it is worth it. Because of all of you. I would write these stories even if no one read them, but having you be part of this world is what keeps me going. Your interactions with me drive my dedication, my passion and my will to be better and be more. For you. So, I hope you take this for what it was, which was an admission that I am human and some days this is hard. But, if chasing dreams was easy, everyone would do it and I’ve never wanted to be like everyone else. 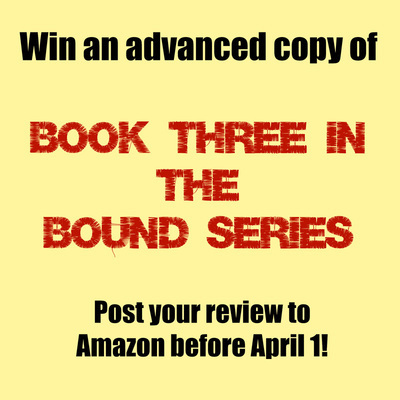 Win an advanced copy of book three! I am giving away FIFTEEN advanced copies of book three (when it is ready!) to a random group of people who have posted reviews for Bound by Spells by April 1, 2015. To be in the running, all you have to do is email me at authorstormysmith@gmail.com with a link to your review, a screenshot of it, or the confirmation email that Amazon sends you. I basically just need to verify that you did it. Make sure you get that review up and send me your email. I’ll send out a notifications to those who win the week of April 1! It is FINALLY release day! The day has finally arrived and Bound by Spells is available in both print and e-book! It was called “paranormal gold” by Serena Chase at USA Today’s Happy Ever After blog and is already getting rave reviews! Get out there already, and don’t forget to leave me your review. I am just dying to hear what you all think, and the reviews from Bound by Duty are what helped make Bound by Spells into what you’re about to read. They all matter and they make a huge difference in the visibility of the book overall. I read each and every one, because I write for you, and your opinions matters. Muah! When you self-publish a book, you hope that people will find it and read it. You hope to make the right connections to keep your readership growing and active. But, you don’t expect to share real estate with traditionally-published authors who make big lists and are able to write full time. 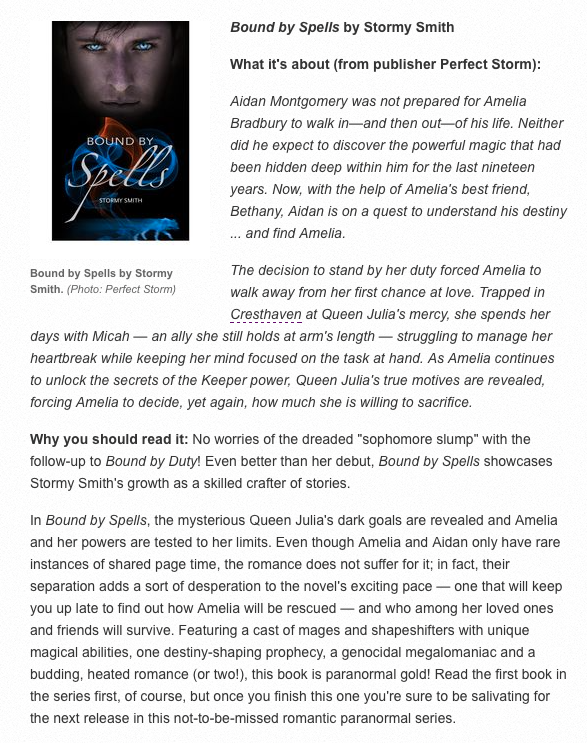 Today, I woke up to Bound by Spells being featured on USA Today’s Happy Ever After blog. I saw my book in same space as the USA Today logo. And the reviewer said some pretty amazing things. You’ll see when you read it that clearly she contacted me and this didn’t come out of absolute nowhere, but I had no idea which day it would publish or what it would feel like. Let me tell you what, it feels pretty incredible! Here’s a little teaser, but this doesn’t show everything, so make sure you click the link above! Have you heard about my super-secret project? I’ve been talking about this super-secret project of mine for a few weeks. I’ll start by saying that I have to thank a few of my Facebook fans for the idea, it wasn’t mine. But not an hour after they posted on my wall and starting agreeing with each other, I found myself downloading lyrics, plotting out scenes and developing my first-ever VIDEO SCRIPT! Over the next week the hubs helped me film a few different segments, I asked my fans to submit photos and a few special guest stars submitted their photos and videos for inclusion. After my first go-round with iMovie and five hours of editing later, behold, as I SHAKE IT OFF! With my love of TSwift, you guys aren’t surprised, right? I can be honest in saying that as a female artist she is a true inspiration. She’s classy, she’s business savvy and she loves her fans. Those are all things I aspire toward and a big reason I’m a huge fan of hers. All I ask is that if you enjoyed my little bit of crazy that you might share the link to YouTube on one of your social channels. I would love to build a buzz and get people excited about me and the Bound series. Bound by Spells Cover Reveal! Can you believe it? It’s already time to reveal the Bound by Spells cover. It’s only been seven months since Bound by Duty launched and we are prepping for Spells. I’m so excited about this one, guys. I’ve learned so much, my writing has gotten better, the story is action-packed and filled with the characters you love and new ones you’ll adore. There’s so much I could say, but I won’t hold you in suspense any longer. 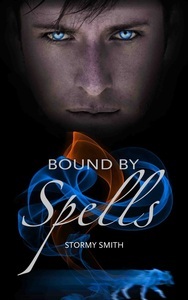 Bound by Spells will release on Amazon only on March 19, 2015. Make sure if you’re a GoodReads user that you add it to your TBR! Just use this handy, dandy link.